Recorded 13th to 15th January 2018 by Scott Evans at Sharkbite Studios, Oakland. In my review of this trio’s first outing, I was enthused by the way in which Frith had encouraged development of his Massacre group. On this CD, the excitement comes from the ways in which the trio have developed. 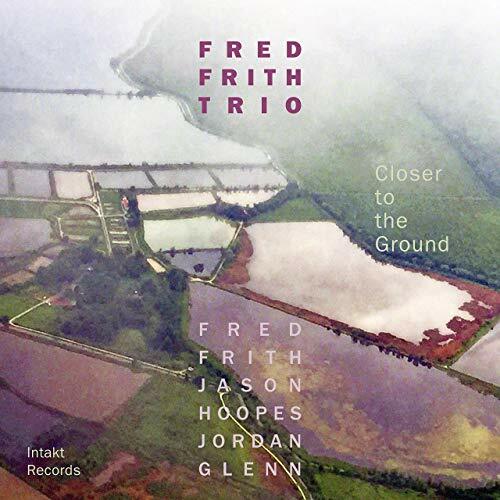 Both Hoopes and Glenn (superb musicians in their own right) stake a claim on the musical development, and Frith is happy to work in the democracy of like-minded music-makers. You get a sense of this from the liner notes, where Hoopes’ neatly wrought poem refers to his ‘dear fellow enemies of indifference’ – indicating not only the trio members but also the listener (which, I think, must include anyone who has an ear and a heart for jazz). Likewise, Frith writes ‘since 1995, I have never not been a member of band’. True to the way that he has seen his career develop, this double-negative that celebrates inclusion by emphasising exclusion, seems to be a perfect metaphor for the way the Frith plays. As if to underline this, Glenn’s contribution to the liner note is a very large ‘!’. Making sense of albums by Frith and his associates can be challenging; I’m sure that he would prefer the music to speak for itself rather than have someone attempt to explain it. And, here, the song titles are sufficiently cryptic to challenge interpretation. I liked the idea of a tune called ‘alle plansmassigen ziele warden erreicht’ (which, I guess, you could translate as ‘all plans have been achieved’, or, perhaps, ‘everything has come to fruition’). If I was to attempt an interpretation, I would pick on two title, ‘In the grip of it’ (track 3) and ‘a path made by walking’ (track 6) as a starting point to suggest that the titles emphasise a feeling that the French phenomenological philosopher Merleau-Ponty was explaining in his ideas that we make sense of the world by acting on it (and allowing it to act on us). This might help make sense of the richness of the trio’s joint improvisation. But, it doesn’t explain titles that carry Frith’s characteristically dark humour, such as ‘bones to pick with graveyards’ (track 1), ‘betting on the world’ 9track 7), ‘love and other embers’ (track8) or ‘up in smoke’ (track 9). On reflection, the best thing is to surrender to the genius of this trio and let them explain the state of the world to you in their humorous, cynical but ultimately uplifting manner.